WORKERS AT ESB have said “an all out dispute” involving unionised staff will take place at 8am on 16 December. The warning from the company’s Unions’ Dispute Committee said that “all ESB generated power will be off the bars” from that time. In the statement, the committee said that they will give “due regard” to public, staff and environmental health and safety. “Emergency cover for fault and repair services” will only be available “where applicable and to be decided by the Dispute Committee”, they say. They added that this strike is down to “ESB’s false accounting and statement of interest regarding the staff’s Defined Benefit pension scheme”. This committee will not be part of the planned meeting between ESB management and the ESB Group Of Unions at the Labour Relations Committee (LRC) today. However, the Group of Unions stated that it was “happy” to distribute the committee’s message through its own channels. 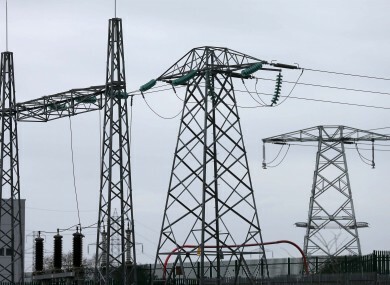 Unions slammed a “so-called offer” last night it had received from ESB management yesterday, although agreed to meet with the LRC at the request of Minister Pat Rabbitte, who called it “unthinkable” that “our economic recovery should be jeopardised” by a power cut. Email “ESB workers announce ‘all-out’ strike as unions meet with mediators”. Feedback on “ESB workers announce ‘all-out’ strike as unions meet with mediators”.